Spring is coming. Well, according to the calendar it’s coming. Mother Nature is apparently getting there on her own terms. Regardless, the shorts are about to come out and the bathing suits will be going on display which means plenty of us are starting to frantically put our running shoes back on. 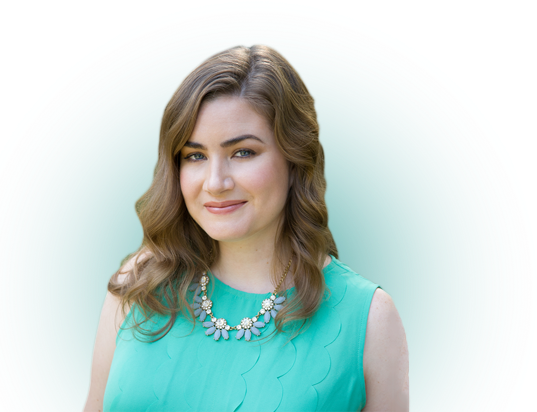 A dear friend of mine writes a blog called Finding My Strong. While she’s in shape and works out more than most, she has a few existing conditions that keeps her on medication. My friend chronicles her journey to getting off medication because she hates being on it and it’s expensive! Recently, she published a post about The 7-Minute Workout. Like most people who look for a quick fix when it comes to getting back in shape, I clicked! 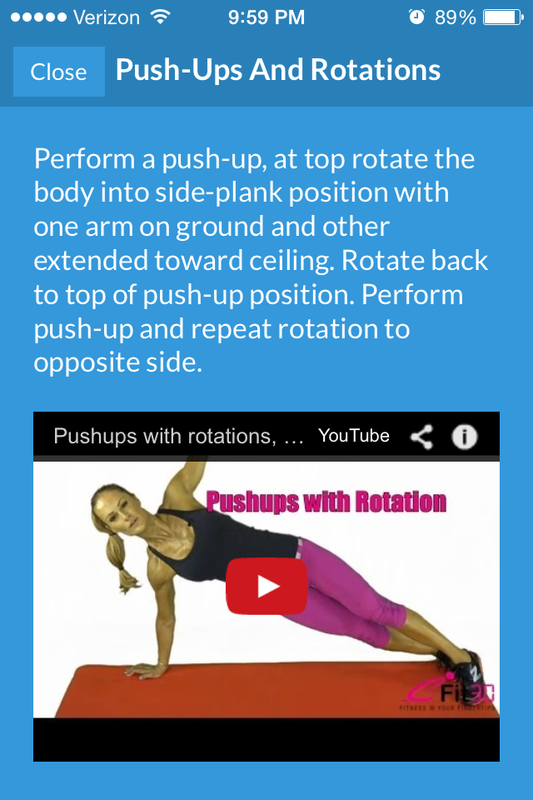 The 7-Minute Workout is a FREE iOS app that rotates you through 12 sets of exercises in — you guessed it — 7 minutes. You get 30 seconds per exercise and 10 seconds of rest in between. For those who’ve had the misfortune of participating in a cross fit class then you might be familiar with the constant change of pace between activities. You can elect to do one of four variations: 7-Minute Workout, Alternative 7-Minute Workout, 7-Minute Pilates Workout or Make Your Own 7 Minute Workout. If you want to try it out but don’t have an iPhone you can test out an incredibly simplified version on their website. There is a detailed list of the exercises you’re about to do and if you aren’t sure how to do push-ups and rotations you simply click on the exercise and it takes you to an explanation with an embedded video demonstrating how to complete the task. As each task switches a Siri-like woman chirps out which exercise to start next. I downloaded the app earlier this week and I’m already in love. It is a good way to get the blood pumping in the morning or tack on an extra little bit of high-intensity to your existing workouts. I find it to be a good compliment to wrapping up after a run with another favorite free workout app: Couch to 5k. 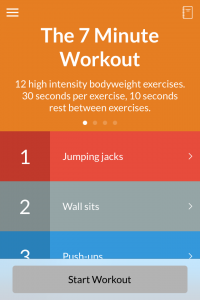 My friend points out in her post that a 7 minute workout a day simply isn’t enough if you really want to make changes to your body, but you could do all the workouts the app offers at once for a nice 30 minute (okay, 28 minute) routine. So stop sitting at your computer and go exercise! 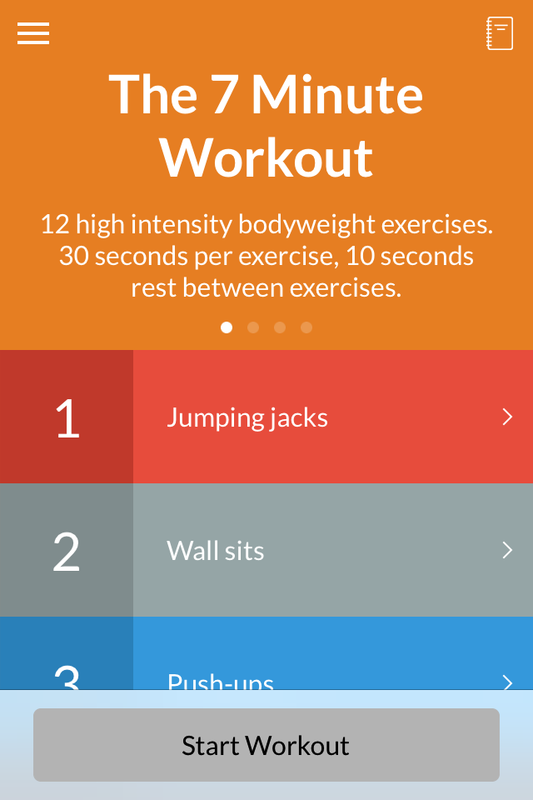 What other workouts or workout apps are you into? 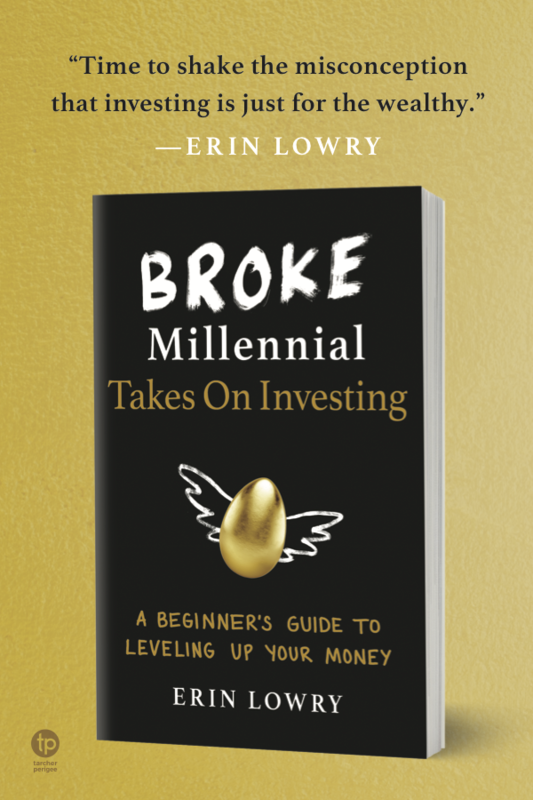 Big thanks to The Heavy Purse and The Broke and Beautiful Life for featuring Broke Millennial in their Women Power Wednesday Posts! I’m not wild about the quick fixes. The only way I’ve managed to lose weight and keep it off is running. I used to hate it, but it changed my life and my body and now I’m obsessed. Quick fixes don’t work, but using apps like this consistently certainly would! I like it to cap off a run. I like doing it in my living room while blasting music off Pandora through my TV. Working out without music is BORING. You had me at 7 minute work out!! There never seem to be enough hours in the day, and I frequently think if I can get a quick work out in at home my a$$ might stop looking less Kardashian-like. Thanks for sharing!! But aren’t we supposed to have them look Kardashian-like…? Has pop culture and now apparently Vogue lied to me?! Dude, that seven minute workout is super hard when done 3-4 times in a row at full intensity. I struggle to get through it! And hits all those different muscle groups! #winning! I might need to check this out. I’m always looking for little things that will help me fit in more workouts. 7 minutes is something you can do both at the beginning and end of day without much sacrifice. I don’t have any workout apps or websites that I use, but I’m trying to lift regularly now so I plan on looking into websites that will help me plan workouts better. I have tried this 7 minute workout and it is really intense! Thanks for sharing it!